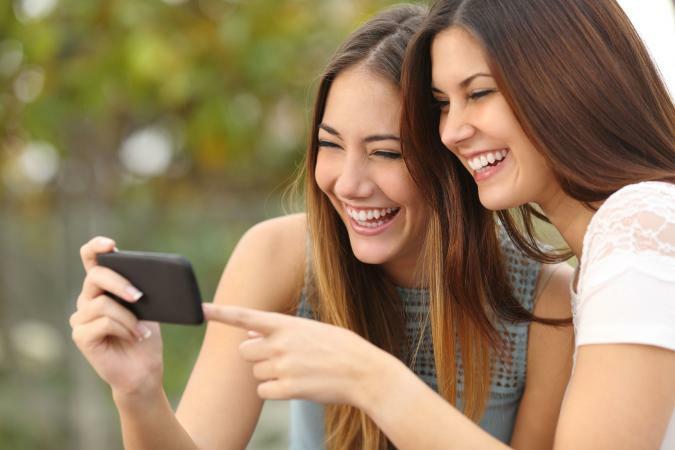 When it comes to finding funny videos on the internet, you can turn to any number of streaming video sites like YouTube, 9GAG and Metacafe. If you want to download funny videos to your cell phone, however, your options are much more limited. The following sites let you save hilarious videos to watch anytime, whether you use Android or iOS. Featuring a simple, responsive design that makes it perfectly adaptable to the smaller screen of a smartphone, FunnyMp4.net offers a growing repository of downloadable videos. These stretch across categories like Bollywood videos, Dubsmash lip sync videos, horror magic videos, and technology videos, as well as hundreds of funny videos. Most videos appear to be based out of India, and the content reflects this. From the video listings, you are shown a small thumbnail image, the title, the total hit count, and file size for each available video. Simply click on the video you want to download. Advertising is virtually nonexistent. On Mobango, you'll find a number of games, apps and collections for mobile devices. In the videos section, you can sort down to the comedy category, which is further subdivided into comedians and stand-up, amusing ads, funny animal clips, and hilarious movie and TV clips. The videos are mostly user-submitted, so the content will vary widely from funny animals to funny couples. For each video, you're offered a title, the duration, the total views, the file size and a description, as well as a section for user comments. Simply tap on the large "free download" button on the individual video page. Advertising is minimal to nonexistent on the site. For a different flavor of comedy from a different part of the globe, have a look at Duasblog. Based out of Nigeria, the site transverses a broad range of subject matter, from beauty and makeup to health and football. If you look toward the top, you'll also find a category for comedy videos. You'll find Nigerian comedy including Mark Angel skits, Yawa comedy skits, animated content from House of Ajebo, and Xploit Comedy. Each video can be streamed in-browser, but you can download them too. If the video continues to play after you tap the download button, then press and hold the play button until "save as" or "save video" is revealed as an option. Advertising on the site is similar to many commercial blogs. When it comes to photo sharing websites on the Internet, one of the most popular options has always been Flickr. Professionals use the site to showcase their work, and regular folks use it to share pictures with family, friends, and strangers too. In addition to photos, Flickr also allows for video uploads, and these can be licensed under a Creative Commons license. Before you can download videos of funny babies and funny kids posted by other users, you must first sign up for a free account. If accessing the site from your mobile device, you will need to set the browser to request the desktop version of the site before the "download" button becomes visible to the bottom-right of the video. It does not appear in the mobile-optimized version of Flickr, nor does it appear in the iOS and Android mobile apps. Flickr does not have ads. Arguably the largest video website on the internet is YouTube, but the site does not allow you to download those hilarious video clips by default. However, if you subscribe to YouTube Premium for $11.99 per month, a "download" button appears within the mobile app allowing you to download those videos for offline viewing. Whether you choose to go this route or try one of the free download services, it's great having your favorite videos at your fingertips anytime you like.